13°C, milky overcast and zero wind. 2 munros, Sgurr Mor, 986m, and Tom na Gruagaich, 922.m. The Horns (Na Rathaoan) is a Corbet. Start 9.00 and back at camp at 19.15 including walk in and out time. The horns of Beinn Alligin: started off at 9am, and walked to the start-point. It was a mistake, because the hour that took, was time off the summits. The ‘Horns’ are pinnacles which are fun scrambling places. I went up the first one and part of the last one. After these, the two Munros loom ahead. The are not that hard, it’s just something about their ‘mood’ that is intimidating. The whole mountain group is old red sandstone, a good snag for walking. The grip is always good and there are springs not far below. That was the only problem I had, the last summit was a much because of thirst. Oh, and the midges. The still air was perfect for midges, even at 1000m altitude. I had to eat my food pacing about to stop them building up. 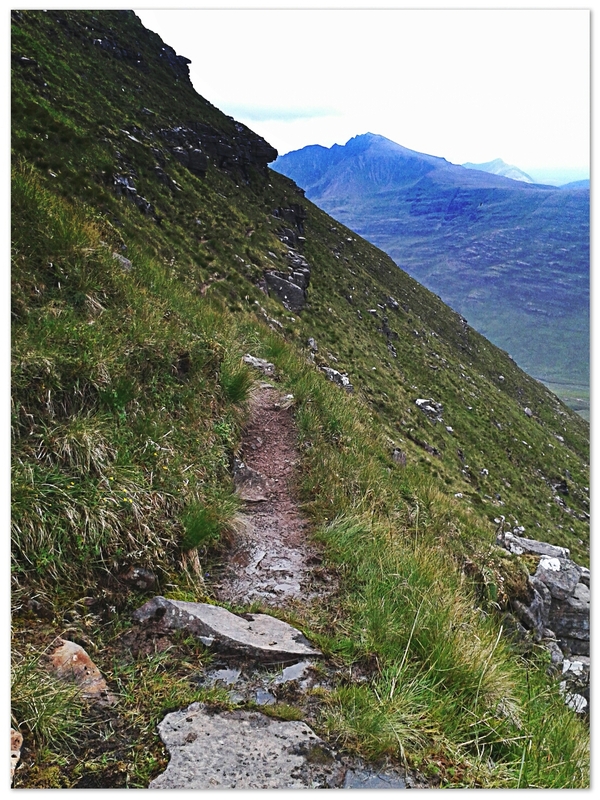 This entry was posted in Hiking, Quality Mountain day, Weather and tagged hiking, munros, Torridon. Bookmark the permalink.